Queens, N.Y. This largest New York City borough, which is actually on Long Island, is quickly becoming the hippest borough, according to Lonely Planet. 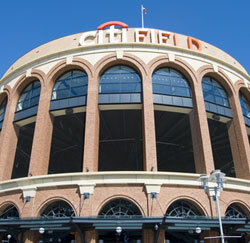 It has a thriving art scene, New York’s largest Chinatown (in Flushing) a revitalized seaside (Rockaway) and a variety of boutique hotels and restaurants offering an array of global cuisines -- not to mention the Mets, who play in Citifield. Western South Dakota. This area is always a popular destination because of its natural beauty, Mount Rushmore, cowboy culture and Native American sites. But 2015 celebrates both the 50th anniversary of the Custer State Park Buffalo Roundup, in which 1,400 buffalo are moved to their winter grazing lands, and the 75th annual Sturgis Motorcycle Rally, which draws more than half a million people every August. Colorado River. Your window for rafting this gorgeous natural wonder might be closing. Between reduced rainfall affecting the flow of the river and a plan for massive development where the Colorado and the Little Colorado rivers join, the experience could be very different not too far in the future. North Conway, N.H. This lovely New England village is 250 years old this year, which makes this a great time to enjoy its covered bridges, B&Bs and gorgeous scenery – especially in the fall. If you have something a little more active in mind, there are plenty of outdoor options. Indianapolis. One of the city’s main attractions, its world-famous Children’s Museum, turns 90 in 2015. But that’s not all Indy has to offer. There are other museums – including the Kurt Vonnegut Memorial Library – and lots of dining options. And of course the Indianapolis Motor Speedway. Greenville, S.C. Situated in the Blue Ridge Mountains, Greenville has lots of opportunities for outdoor enthusiasts. Art lovers also can enjoy works by Andrew Wyeth and others at the Greenville County Museum of Art. And a bike-sharing program lets you hop on and explore a bike path along an old railroad. Oakland, Calif. Rising prices in San Francisco have encouraged locals to look for housing and entertainment across the bay in Oakland. It is a paradise for foodies, whether you want to do your own cooking with ingredients from farmers markets or you prefer to dine at one of the highly acclaimed restaurants. Duluth, Minn. On the shores of Lake Superior, Duluth has lots of outdoor options in every season. But the draw this year is the 50th anniversary of the release of “Highway 61 Revisited,” by one of Duluth’s most famous sons – Bob Dylan. Mount Shasta area, Calif. Local Native Americans believe that Mount Shasta was the site of creation, and many people feel a spiritual presence there. You can feel the power and beauty as you hike the many trails. And you can feed your body as well as your soul in a variety of local restaurants.